· December 26, 2013 All My Books 3.8 is available for download! Happy Holidays! · November 09, 2013 All My Movies 7.7 is live! · September 22, 2013 All My Books 3.6 - new version! · August 07, 2013 Today we released All My Movies 7.6! Happy downloading! · August 04, 2013 Bolide Slideshow Creator 2.0 is live and still FREE! · July 31, 2013 We released Bolide Movie Creator v1.3 enjoy our HD video editing software! · July 29, 2013 Download All My Books v3.5! It's already available! · May 24, 2013 Today we released All My Movies v7.5! · May 06, 2013 Are you ready to catalog your books? All My Books v3.4 is waiting you! · April 05, 2013 We released All My Movies v7.4 with "Live Search" feature! · March 22, 2013 Long-awaited All My Movies for Android is live! · February 05, 2013 All My Books HD for iPad is live too! · January 16, 2013 You asked it, we made it! All My Movies HD for iPad is live! · January 16, 2013 Well, only 10 years had passed before we made a decision to change a bit the design of our site :) Yes, we have a new design now! · January 05, 2013 Another two great news! We released All My Books for iPhone and All My Books 3.3! · November 30, 2012 Two great news for today! We released All My Movies for iPhone and All My Movies 7.3! · October 23, 2012 Get All My Movies 7.2 now! It is waiting for you! · October 03, 2012 All My Books 3.2 with new book card templates! · August 03, 2012 Catch All My Books 3.1! It is already available! · June 03, 2012 You waited it? We released it! All My Movies 7.0 release! · May 10, 2012 We proudly announce All My Books 3.0 release! · March 13, 2012 All My Books 2.9 has been released! · February 15, 2012 All My Movies 6.9 has been released! Now you can tag persons on the screenshots. · December 29, 2011 All My Books 2.8 is ready for download! Happy Holidays! · October 17, 2011 Whew! New All My Movies v6.7 is ready! · September 27, 2011 Catch the new All My Books v2.6! · September 25, 2011 All My Movies v6.6 with better TV series support has been released! · July 28, 2011 All My Movies v6.5 is live! Get it while it's hot! · April 17, 2011 All My Books v2.3 is available for download! Now with advanced filters. · March 30, 2011 Image Comparer v3.8 is available for download! · February 14, 2011 Hurray! All My Movies v6.3 is live! · October 22, 2010 All My Movies v6.1 is ready for download. Get it now! · September 27, 2010 All My Books v2.1 is available. Enjoy! · July 26, 2010 All My Movies v6.0 - a major update for the great DVD/Blu-ray movie organizer! · July 07, 2010 All My Books v2.0 is live! Finally, the major update has been released with some useful new features. · February 25, 2010 All My Movies v5.9 has been released. Check the changes. · October 26, 2009 We got more than 10,000 registered All My Movies users! Hurrah! · September 10, 2009 All My Movies v5.6 has been released! · August 27, 2009 All My Books v1.8 has been released! · July 04, 2009 All My Movies v5.5 has been released! · June 08, 2009 We have started a Movie Lottery! Now you have a chance to win All My Movies license! · June 08, 2009 All My Books v1.7 has been released! · April 20, 2009 Image Comparer v3.7 has been optimized for the multicore CPUs! · April 18, 2009 All My Books v1.6 now has a virtual bookshelf view mode! · April 10, 2009 Compare Suite is available for download and purchase now! · April 02, 2009 All My Movies v5.4 has been released. Now with virtual shelf view mode! · February 27, 2009 All My Books v1.5 is ready for download. New fields, new features. · January 15, 2009 We started a great Affiliate Program - earn up to 50% of the sales generated by your website! · January 05, 2009 Audio Comparer - check out our new project! · December 05, 2008 All My Movies v5.2 is live! With multilevel automatic backup feature. · November 16, 2008 All My Books v1.4 - check out our book inventory software update! Now it supports audiobooks cataloging. · October 20, 2008 All My Movies v5.1 has been released! New collection view mode - as a cover image thumbnails. · September 01, 2008 All My Movies v5.0 has been released! Built-in print manager with editable templates at your service. Already registered? Wait several days for the update notice arrived in your e-mail. · July 22, 2008 All My Books v1.2 has been released! Organize book collection with All My Books™! · May 29, 2008 All My Movies v4.9 has been released! Make your DVD catalog today! · May 07, 2008 Image Comparer v3.5 has been released. Now it can display copmparison results as a tree. · Apr 24, 2008 Collect books with All My Books™ v1.1! New version has been released. · Apr 17, 2008 New All My Movies version is availble for download. · Apr 04, 2008 We just released the first version of All My Books! It is a home library organizer. · Mar 27, 2008 We started RSS announcement. Subscribe now. · Feb 29, 2008 Image Comparer ™ v3.4 has been released! · Feb 15, 2008 All My Movies ™ v4.7 has been released! Now with TV Series Support! · Jan 07, 2008 New Image Comparer v3.3 has been released! Now with image differences highlighting! · Dec 14, 2007 All My Movies v4.6 has been released! Read the changelog for changes. · Nov 20, 2007 Image Comparer v3.2 has been released! Now with the help file! Read the changelog for other changes. · Oct 28, 2007 All My Movies v4.5 has been released! Now with the extended friends details. · Oct 13, 2007 Duplicate image remover (Image Comparer ™) has been updated to v3.1! Up to 3 times faster! Looking for flipped and rotated images as well! · Sep 13, 2007 Our image comparison solution has been updated to v3.0! Get your copy of Image Comparer ™ now! · Jun 18, 2007 Have fun with updated All My Movies™ v4.3! · Apr 07, 2007 One of the best DVD catalog software is updated to v4.2! · Apr 02, 2007 Another short article. Advanced video playlist with All My Movies™. · Apr 01, 2007 All My Movies™ tutorial. How to use barcode scanner to get your movie collection organized quick and easy. · Feb 17, 2007 Get also movie actors, directors and scenarios details with All My Movies v4.1! Hot release! · Dec 4, 2006 Traditional Christmas Discount Offer has been started! Get All My Movies™ license for $26.95 instead of $34.95! Save 25%! New price valid until 25th of Dec.
· Nov 4, 2006 All My Movies™ v4.0 has been released today! It is a great major update! Download now! · Mar 05, 2006 All My Software™ has been updated to v1.6! · Feb 19, 2006 All My Movies™ v3.9 has been just released! · Jan 15, 2006 AMM plugin API has been updated to v1.3! New plugin type added, now you can easily add the new online database support with a bit of Delphi knowledge. · Dec 23, 2005 Image Comparer™ has been updated to v2.3 Even faster! Bolide software team wishes you happy holy days! · Dec 8, 2005 All My Software™ has been updated to v1.5 Now with autoscan for installed software and with the special price until the 1st of Dec, 2006. Don't be late! · Dec 7, 2005 ManualSearch plugin for All My Movies™ has been updated. · Sept 25, 2005 New version of All My Movies™ 3.7 is available for download. · July 22, 2005 Image Comparer™ has been updated to v2.2! · May 11, 2005 All My Movies™ has been updated to v3.5! · Apr 05, 2005 New version of All My Movies™ v3.4 is available! · Mar 10, 2005 MassPlugin for All My Movies™ has been updated! · Mar 1, 2005 All My Movies™ has been updated to v3.3! Enjoy! · Feb 7, 2005 MassPlugin for All My Movies™ has been updated! · Jan 11, 2005 All My Movies™ v3.2 has been released! Now with search DVD by barcode feature! · Nov 24, 2004 Image Comparer™ v2.1 has been released! Now with skinnable interface! · Oct 30, 2004 All My Movies™ v3.1 has been released! Enjoy the new customizable user interface! · Sep 04, 2004 All My Movies™ v3.0 has been released! Enjoy! · Aug 29, 2004 All My Movies now has a Serbian translation! Thanks to Bracko Nemanja for that! · Aug 11, 2004 Image Comparer™ v2.0 has been released. Faster! Smarter! · Aug 08, 2004 All My Movies™ v2.95 has been released. With Polish support now. · May 29, 2004 All My Movies™ now has French translation too! Thank to Pierre-Alain Bluewin. · May 22, 2004 Image Comparer ™ v1.5 has been released! · May 15, 2004 All My Movies ™ v2.8 has been released! · Apr. 27, 2004 All My Movies ™ now supports Dutch! Help us to translate All My Movies™ to your native language and get free license! · Apr. 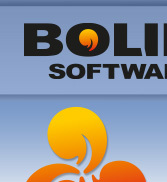 17, 2004 We are happy to announce new software title! It is Image Comparer™ - utility for ease locate similar images! · Apr. 12, 2004 All My Movies™ supports German language now! Thanks to Bjoern Amherd for translation! · Apr. 04, 2004 All My Movies™ supports Greek language now! Thanks to Giorgos Kontostergios for translation! · Mar. 28, 2004 With All My Movies™ v2.7 you can use HTML templates for export your collection. You also have an ability to create your own templates! · Oct. 22, 2003 All My Movies™ v1.2 has been released! Now with support of importing movie details from IMDb.com. Registered users can upgrade free. · Aug. 28, 2003 New site design! · Aug. 27, 2003 The closest encounter between Mars and Earth in recorded history!